Monterey Bay and Elkhorn Slough are 2 areas with some of the highest concentrations of the California Southern Sea Otter (one of 3 subspecies). Once there were hundreds of thousands living all along the Pacific coast, but they were almost brought to extinction during the 1800's because of being hunted for their amazingly dense fur. 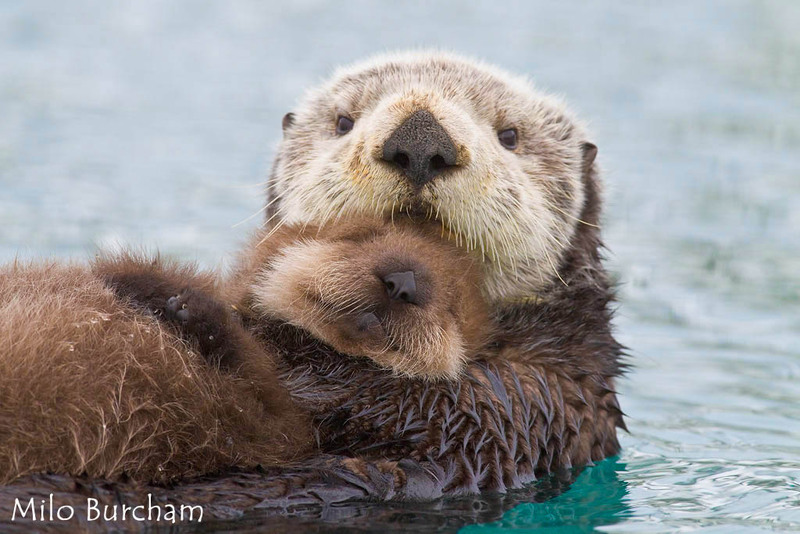 Now, the CA southern sea otter is listed as a threatened species with less than 3100 individuals left. There are many factors that affect their health and survival--they can get sick from disease, not find enough of the food they need, be bitten by white sharks,--to name a few. Disturbance of their natural behaviors by humans is another factor that affects their health and ability to thrive. Even though most people don't intend to disturb sea otters, getting too close (i.e. trying to get a close-up photo) can cause accidental harassment, and can harm them by disrupting critical activities such as sleeping, resting, grooming, foraging and eating. 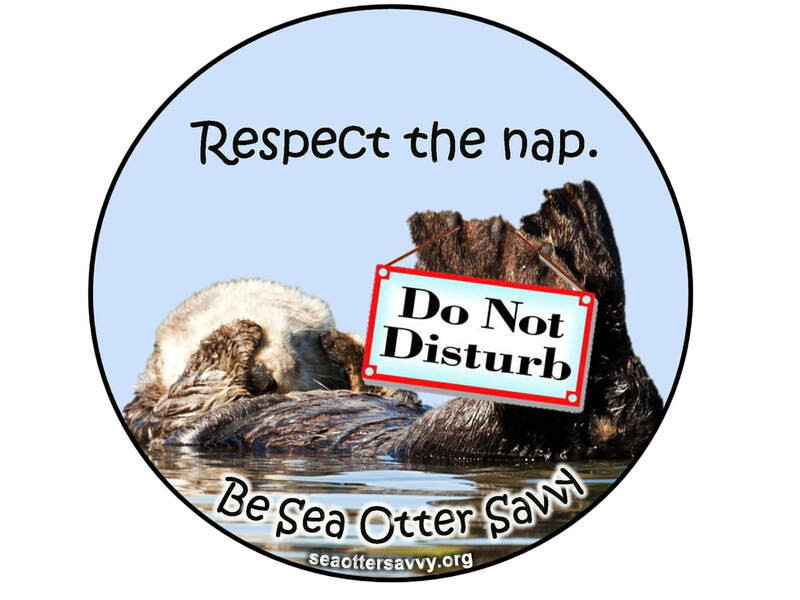 Keep in mind sea otters must eat, groom, and rest a lot (about half the day for optimal health). This cumulative stress and wasted energy can impact their health, especially mothers who are already working very hard to care for their pups. 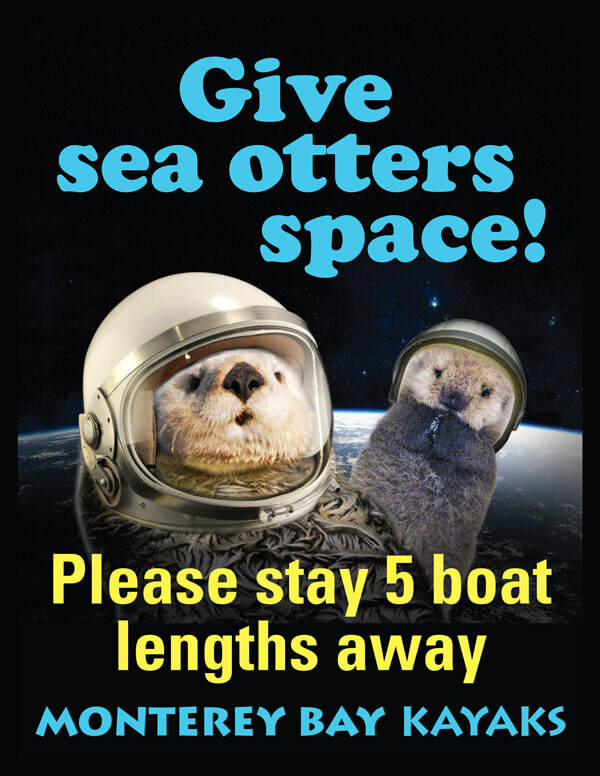 Help sea otters survive and thrive. It's always more fun and rewarding to watch animals and their natural behavior from a distance, instead of trying to get closer and just scaring them away from you!​ See our guidelines for paddling below and pick up a free sticker at our store! The Federal Marine Mammal Protection Act prohibits harassment, feeding, touching and disturbance of sea otters, sea lions, harbor seals, dolphins, whales. You may be fined ($3000 and up) if you are reported. Keep the recommended distance of 50 to 100 feet (approx 5 boat lengths) from marine mammals, but sometimes that isn't possible so follow this basic rule: DO NOT APPROACH OR DISTURB RESTING OR FEEDING MARINE MAMMALS AND NESTING SEABIRDS so closely that they must leave the area or change their behavior (such as waking up, alarmed or stressed behavior, diving or swimming away). Continual disruption can lead to stress which can cause illness/starvation/separation. When you spot an animal, maintain control of your boat so you don't drift towards them. If you accidentally get too close, back away quickly and quietly to give the animal space and not startle them. If they look in your direction and raise their head and/or start fidgeting, you are too close and you should move back, no matter how far away you are. Avoid directly approaching a seal haul out area (beaches, rocks or mudflats used to rest, sleep, warm up, give birth, or nurse). Causing animals to stampede and re-enter the water is considered harassment. Continual disruption may lead to them abandoning the area. If they are being active and curious, they might approach you. Paddle slowly away from the marine mammal. Do not let them touch you or climb onto your boat as this is not a good habit for the animal to develop! Also, they are still wild and can bite. 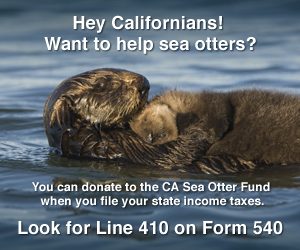 Let's do our part to help sea otters survive and thrive. Remember that it's always more fun and rewarding to watch animals engaging in their natural behavior from a distance, instead of watching them just swim away from you! These kayakers are too close to the sea otters. Pass by parallel on one side and never surround them as pictured. 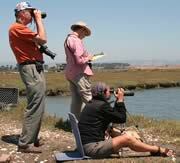 There are many scientists and volunteers who observe these animals for research, including taking pictures and videos. They may report you if they see a potential harassment situation. 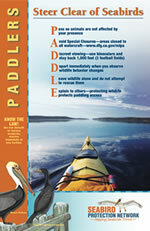 Many people are also out there to be interpreters and help kayakers learn more about the wildlife. Check out Team Ocean and their Marine Wildlife cards! While not a threatened species, they are still protected by federal laws. During pupping season, be especially careful around the mudflats of Elkhorn Slough where they haul out to give birth, nurse or rest. 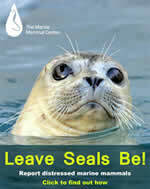 Do not attempt to rescue any marine mammal that looks injured or a pup that looks abandoned or lost. Contact the Marine Mammal Center. Though less likely to be seen by kayakers, never paddle directly towards them as their behavior is unpredictable and dangerous due to their size and strength. Nesting seabirds in our area are also protected. When they are chased off their nests, it can expose the eggs or chicks to the elements and predators. Visit the Seabird Protection Network.